Often considered the “Second City” of Oman, when you visit Salalah for the first time you’ll be forgiven for thinking you had somehow transported from the Arabian Peninsula to the coasts of Africa. 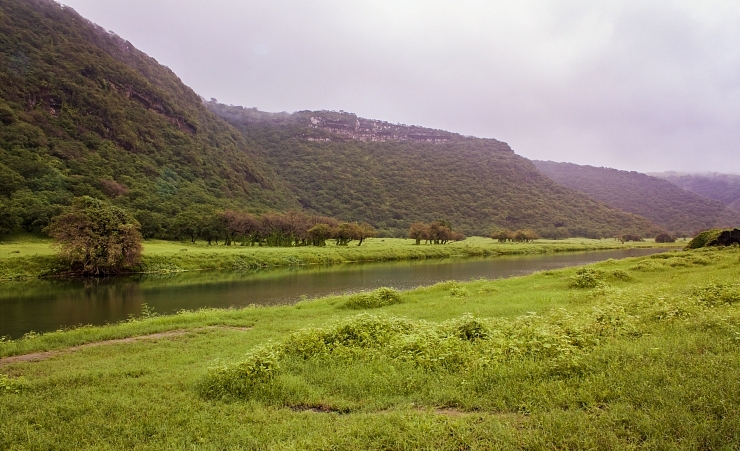 This lush, subtropical city, capital of the Dhofar region, enjoys a unique climate thanks to monsoon rains from India known as the Khareef, which occur in the summer months and transforms the surrounding area into a green, misty oasis. The Khareef Season with its monsoon clouds, which runs from mid-June to mid-August, brings with it an almost constant drizzle, but it is this time of year that brings the tourists flocking. This is in large part due to the Khareef Festival and, of course, the lush greenery that Salalah boasts, which contrasts so starkly to the surrounding Arabian Sultanate. To avoid these crowds, and the rainy conditions, the winter months of October to March are better. Held between 15 July and 31 August each year, the Salalah Tourism Festival includes music festivals, traditional dance and cuisine, carnivals, theatre, cultural villages and more. Head to the main location on Ittin Rd to get involved in the action. The Museum of Frankincense Land is also a highlight, where learnings about the history of the city and its port are divulged. This is Oman, only different: palm-fringed beaches border luxurious hotels but the atmosphere, thanks in part to the city's trading port past, is reminiscent of Zanzibar in Africa rather than other parts of the Arabian Peninsula. There are a handful of beaches within driving distance, each of which are quite beautiful. 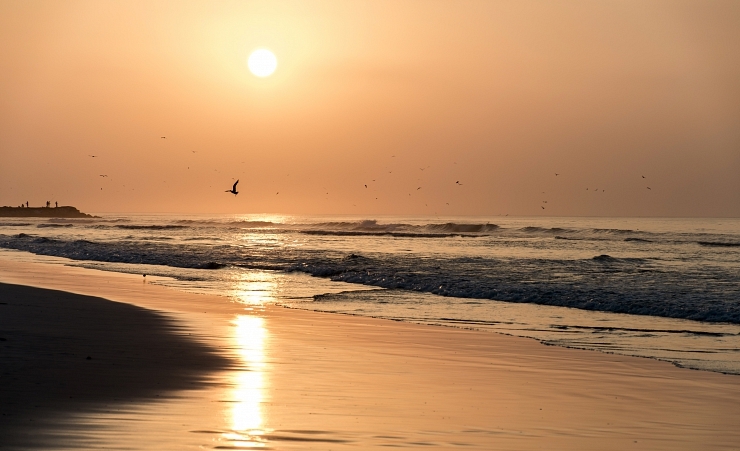 The mountain-backed Al-Mughsayl Beach is the best for picturesque scenery, while the more widely known Al Haffa Beach is a popular choice for bird watchers. The upmarket hotels all have a host of international restaurants and a plethora of cuisine selections, but the prices do tend to match the top-end menus. To enjoy some of the epic scenery on offer, Dolphin Beach Restaurant, which is situated underneath coconut palms and provides shoreline vistas, is hard to surpass. Although bordered by the Rub' al-Khali (or empty quarter), the world's largest sand desert, the area is known for its banana and papaya plantations which are only possible due to its unique climate. A stroll through the plantation roads (close to the corniche) while enjoying some of that fresh fruit will really submerse you in the local culture. So too will a visit to Al Husn Souq, where the local people have been congregating for hundreds of years. Hiking in the Wadi Darbat, where you can take in the rolling backdrop of mountains and springs, which are so startling given the part of world you’re in, is a must. You’d also be missing out on a real treat if you didn’t consider the option of scuba diving in Salalah’s crystal-like waters (though be wary that the currents are strong and should only be tackled by strong swimmers). For something completely different, the Palmyra 7D Simulator offers a horror-movie experience you’re unlikely to forget. The most convenient way of getting around is by utilising the taxis and/or microbuses that can be found on many main roads. There are also buses which connect Oman’s largest cities, including Salalah.